Early Music Shops, Makers, Instruments, Journals, Labels, Tuning, Scales and other resources for those interested in the playing, making, buying and history of the Early Music Instruments. The first thing musicians must do before they can play together is "tune". For musicians in the standard Western music tradition, this means agreeing on exactly what pitch is an "A", what is a "B flat" and so on. Other cultures not only have different names for notes and different scales, they may even have different notes based on a different tuning system. In fact, the modern Western tuning system, which is calledequal temperament, replaced (relatively recently) other tuning systems that were once popular in Europe. All tuning systems are based on the physics of sound. But they all are also affected by the history of their music traditions, as well as by the tuning peculiarities of the instruments used in those traditions. Modern Western music uses the equal temperament tuning system. In this system, an octave (say, from C to C) is divided into twelve equally spaced pitches. Each of these notes is one half step from the next, and all half steps are the same size. In other words, the difference in frequency, or pitch, from one note to the next note one half step higher is always the same. This is very convenient for some instruments, such as the piano, and makes it very easy to change key without retuning. But if you listen carefully or if you look at the physics of the sound waves involved, you discover that equal-temperament pitches are not really exactly in tune with each other. This often leads to some "tweaking" of the tuning in real performances, away from equal temperament. It also leads many other music traditions to prefer tunings other than equal temperament, particularly tunings in which some of the intervals are physically perfectly in tune. Almost all music traditions recognize the octave. When one note has a frequency that is exactly two times the frequency of a second note, then the first note is one octave higher than the second note. A simple mathematical way to say this is that the ratio of the frequencies is 2:1. Two notes that are exactly one octave apart sound good together because their frequencies are related in such a simple way. If a note had a frequency, for example, that was 2.11 times the frequency of another note (instead of exactly 2 times), the two notes would not sound so good together. In fact, most people would find the effect very unpleasant and would say that the notes are not "in tune" with each other. To find other notes that sound "in tune" with each other, we look for other sets of pitches that have a "simple" frequency relationship. These sets of pitches with closely related frequencies are often written as a harmonic series. Because the notes of a harmonic series are so closely related, the harmonic series is not just a useful idea constructed by music theory. It is often found in "real life". For example, all the notes that a bugle can play are part of a harmonic series. And every musical note you hear is not a single pure frequency, but is actually a blend of the pitches of a harmonic series. Figure 1: Here are the first sixteen pitches in a harmonic series that starts on a C natural. The series goes on indefinitely, with the pitches getting closer and closer together. A harmonic series can start on any note, so there are many harmonic series, but all of them have the same set of intervals and the same frequency ratios. What does it mean to say that two pitches are "closely related"? It doesn't mean that their frequencies are almost the same. Two notes whose frequencies are almost the same - say, the frequency of one is 1.005 times the other - sound bad together. Again, when we hear them, we say they are "out of tune". Notes that are closely related have frequencies that can be written as a ratio of two small whole numbers; the smaller the numbers, the more closely related the notes are. Two notes that are exactly the same pitch, for example, have a frequency ratio of 1:1. Note: Notice that the actual frequencies of the notes does not matter. What matters is how they compare to each other - basically, how many waves of one note go by for each wave of the other note. Although the actual frequencies of the notes will change for every harmonic series, the comparison between the notes will be the same. You will find that the ratio for one octave is always 2:1, just as the ratio for a unison is always 1:1. So notes with this small-number ratio of 2:1 are so closely related that we give them the same name and base the structure of most tuning systems on this octave relationship. The next closest relationship is the one based on the 3:2 ratio, the interval of the perfect fifth (for example, the C and G in the above harmonic series). The next lowest ratio, 4:3, gives the interval of a perfect fourth. Again, these pitches are so closely related and sound so good together that their intervals have been named "perfect", and all major and minor chords are based on the perfect fifth. The Pythagorean system is so named because it was actually discussed by the famous Greek mathematician and philosopher, who lived in the sixth century B.C. Pythagoras understood the simple arithmetical relationship involved in intervals of octaves, fifths, and fourths. He and his followers believed that numbers were the ruling principle of the universe, and that musical harmonies were a basic expression of the mathematical laws of the universe. Their model of the solar system involved the earth and other celestial spheres revolving around the sun, each sphere making music as it revolved. In the Pythagorean system, all tuning is based on the interval of the pure fifth. Using a series of perfect fifths (and assuming perfect octaves, too, so that you are filling in every octave as you go), you can eventually fill in an entire chromatic scale. Figure 2: You can continue this series of perfect fifths to get the rest of the notes of a chromatic scale; the series would continue F sharp, C sharp, and so on. The main weakness of the Pythagorean system is that a series of perfect fifths will never take you to a note that is a perfect octave above the note you started on. To see why this is a problem, imagine beginning on a C. A series of perfect fifths would give: C, G, D, A, E, B, F sharp, C sharp, G sharp, D sharp, A sharp, E sharp, and B sharp. In equal temperament (which doesn't use pure fifths), that B sharp would be exactly the same pitch as the C seven octaves above where you started. Unfortunately, the B sharp that you arrive at after a series of pure fifths is a little higher than that C. So instruments that use Pythagorean tuning have to use eleven pure fifths and a smallerwolf fifth in order to keep all octaves pure. Keys that avoid the wolf fifth sound just fine on instruments that are tuned this way, but keys in which the wolf fifth is heard often are unpleasant. To avoid some of the worst problems with wolf intervals, some harpsichords and other keyboard instruments were built with split keys for D sharp/E flat and for G sharp/A flat. The front half of the key would play one note, and the back half the other (differently tuned) note. More modern Western music, on the other hand, does not sound pleasant using Pythagorean intonation. The thirds are simply too far away from the harmonic series thirds. In medieval music, the third was considered a dissonance and was used sparingly (actually, when you're using Pythagorean tuning, it really is a dissonance), but modern harmonies are built on thirds. Many modern Nonwestern music traditions, which have a very different approach to melody and harmony, still base their tuning on the perfect fifth. Wolf fifths and ugly thirds are not a problem in these traditions, which actually build each mode within the framework of the perfect fifth, rather than building scales from successive fifths. The mean-tone system, in order to have pleasant-sounding thirds, takes rather the opposite approach from the Pythagorean. It uses the pure major third. In this system, the whole tone (or whole step) is considered to be exactly half of the pure third (this is the "mean", or average, tone, that gives the system its name), and a semitone (or half step) is exactly half of a whole tone. But fifths can't be avoided entirely. A basic major chord, for example, is built of two thirds, but it also has a perfect fifth between its outer two notes. So even while mean-tone tuning was enjoying great popularity, some composers and musicians were searching for other solutions. Just intonation is the system of tuning that is often used (sometimes unconsciously) by musicians who can make small tuning adjustments quickly. This includes vocalists, most wind instruments, and many string instruments. Look again at the harmonic series. Figure 3: Both the 9:8 ratio and the 10:9 ratio in the harmonic series are written as whole notes. 9:8 is considered amajor whole tone and 10:9 aminor whole tone. The difference between them is less than a quarter of a semitone. As the series goes on, the ratios get smaller and the notes closer together. Standard notation writes all of these "close together" intervals as whole steps (whole tones) or half steps (semitones), but they are of course all slightly different from each other. For example, the notes with frequency ratios of 9:8 and 10:9 and 11:10 are all written as whole steps. To compare how close (or far) they actually are, turn the ratios into decimals. Note: In case you are curious, the size of the whole tone of the "mean tone" system is also the mean, or average, of the major and minor whole tones. These are fairly small differences, but they can still be heard easily by the human ear. Just intonation uses both the 9:8 whole tone, which is called amajor whole tone and the 10:9 whole tone, which is called aminor whole tone, in order to construct both pure thirds and pure fifths. Because chords are constructed of thirds and fifths, this makes typical Western harmonies particularly pleasing to the ear. The problem with just intonation is that it matters which steps of the scale are major whole tones and which are minor whole tones, so an instrument tuned exactly to play with just intonation in the key of C major will have to retune to play in C sharp major or D major. For instruments, like voices, that can tune quickly, that is not a problem, but it is unworkable for piano and other slow-to-tune instruments. There are times when tuning is not much of an issue. When a good choir sings in harmony without instruments, they will tune without even thinking about it. All chords will tend to use pure fifths and thirds, as well as seconds, fourths, sixths, and sevenths that reflect the harmonic series. Instruments that can bend most pitches enough to fine-tune them during a performance - and this includes most orchestral instruments - also tend to play the "pure" intervals. This can happen unconsciously, or it can be deliberate, as when a conductor asks for an interval to be "expanded" or "contracted". But for many instruments, such as the piano, organ, harp, bells, harpsichord, xylophone - any instrument that cannot be fine-tuned quickly - tuning is a big issue. A harpsichord that has been tuned using the Pythagorean system or just intonation may sound perfectly in tune in one key - C major, for example - and fairly well in tune in a related key - G major - but badly out of tune in a "distant" key like D flat major. Adding split keys or extra keys can help, but also makes the instrument more difficult to play. In Western music, the tuning systems that have been invented and widely used that directly address this problem are the various well temperaments and equal temperament. As mentioned above, the various tuning systems based on pure intervals eventually have to include "wolf" intervals that make some keys unpleasant or even unusable. The variouswell temperament tunings that were very popular in the 18th and 19th centuries try to strike a balance between staying close to pure intervals and avoiding wolf intervals. A well temperament might have several pure fifths, for example, and several fifths that are smaller than a pure fifth, but not so small that they are "wolf" fifths. In such systems, tuning would be noticeably different in each key, but every key would still be pleasant-sounding and usable. This made well temperaments particularly welcome for players of difficult-to-tune instruments like the harpsichord and piano. Note: Historically, there has been some confusion as to whether or not well temperament and equal temperament are the same thing, possibly because well temperaments were sometimes referred to at the time as "equal temperament". But these well temperaments made all keys equally useful, not equal-sounding as modern equal temperament does. 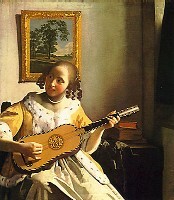 As mentioned above, mean-tone tuning was still very popular in the eighteenth century. J. S. Bach wrote his famous "Well-Tempered Klavier" in part as a plea and advertisement to switch to a well temperament system. Various well temperaments did become very popular in the eighteenth and nineteenth centuries, and much of the keyboard-instrument music of those centuries may have been written to take advantage of the tuning characteristics of particular keys in particular well temperaments. It is interesting to note that the different keys in a well temperament tuning were sometimes considered to be aligned with specific colors and emotions. In this way they may have had more in common with various modes and ragas than keys in equal temperament. In modern times, well temperaments have been replaced by equal temperament, so much so in Western music that equal temperament is considered standard tuning even for voice and for instruments that are more likely to play using just intonation when they can (see above). In equal temperament, only octaves are pure. The octave is divided into twelve equally spaced half steps, and all other intervals are measured in half steps. This gives, for example, a fifth that is a bit smaller than a pure fifth, and a major third that is larger than the pure major third. The differences are smaller than the wolf tones found in other tuning systems, but they are still there. Equal temperament is well suited to modern "classical" and art musics that steer away from identification with any key or tonality at all. It has a clear scientific/mathematical basis, is very straightforward, and is unquestioningly accepted by most people. However, because of the lack of pure intervals, some musicians find it unsatisfying. As mentioned often here, just intonation is often (quietly) substituted for equal temperament when possible. Some musicians would also like to reintroduce well temperaments, at least for performances of the music which was written for well-tempered instruments. In a way, equal temperament is a compromise between the Pythagorean approach and the mean-tone approach. Neither the third nor the fifth is pure, but neither of them is terribly far off, either. Because equal temperament divides the octave into twelve equal semitones (half steps), the frequency ratio of each semitone is the twelfth root of 2. If you do not understand why it is the twelfth root of 2 rather than, say, one twelfth, please see the explanation below. Figure 4: In equal temperament, the ratio of frequencies in a semitone is the twelfth root of two. Every interval is then simply a certain number of semitones. Only the octave (the twelfth power of the twelfth root) is a pure interval. In equal temperament, the only pure interval is the octave. (The twelfth power of the twelfth root of two is simply two.) All other intervals are given by irrational numbers based on the twelfth root of two, not nice numbers that can be written as a ratio of two small whole numbers. In spite of this, equal temperament works fairly well, because most of the intervals it gives actually fall quite close to the pure intervals. To see that this is so, let's write both kinds of interval (equal temperament and pure tones) as decimals. You can find these decimals for yourself using a calculator. Figure 5: Look again at the harmonic series figure (above) to see where the ratios come from for the pure intervals. The ratios for equal temperament are all multiples of the twelfth root of two. Except for the unison and the octave, none of the ratios for equal temperament are exactly the same as for the pure interval. Many of them are reasonably close, though. In particular, perfect fourths and fifths and major thirds are not too far from the pure intervals. The intervals that are the furthest from the pure intervals are the major seventh, minor seventh, and minor second. Figure 6: Remember that, no matter what note you start on, the note one octave higher has 2 times its frequency. Also, no matter what note you start on, the note that is a perfect fifth higher has exactly one and a half times its frequency. Since each of these intervals is so many "times" in terms of frequencies, when you add intervals, you multiply their frequencies. For example, a series of two perfect fifths will give a frequency that is 3/2 x 3/2 (or 9/4) the beginning frequency. All intervals work in this same way. So, in order for twelve semitones (half steps) to equal one octave, the size of a half step has to be a number that ends up being 2 (the size of an octave) when you multiply it twelve times: in other words, the twelfth root of two. And in order for a hundred cents to equal one semitone, the size of a cent must be the number that when you multiply it 100 times ends up being the same size as a semitone; in other words, the hundredth root of the twelfth root of two. This is why most musicians prefer to talk in terms of cents and intervals instead of frequencies. All the information in this website not directly sent by their authors, has been compiled from other sites in the Internet. When possible, the author and source has been indicated.